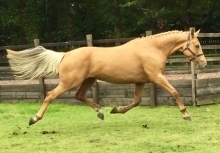 Approved Irish Draught Stallion Goldsmith Country Oliver by Holy Cross X a double gold merit Grange Bouncer mare. 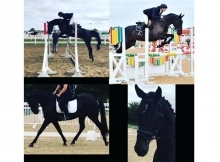 Fantastic impressive stamp of a very well bred Irish Draught Stallion. Has been competing in SJI this year and is proving to be scopey and brave. Has done well in the show ring. Clean as a whistle, has lovely paces for a draught and is fabulous to do everything with. Has got live foals on the ground this year and they have been doing great in the show ring. Fantastic foals that all have great futures ahead of him. Rare opportunity to get your hands on a draught of this calibre who has already been approved and that has live foals on the ground. Extremely popular breeding that is getting rarer and rarer to find.